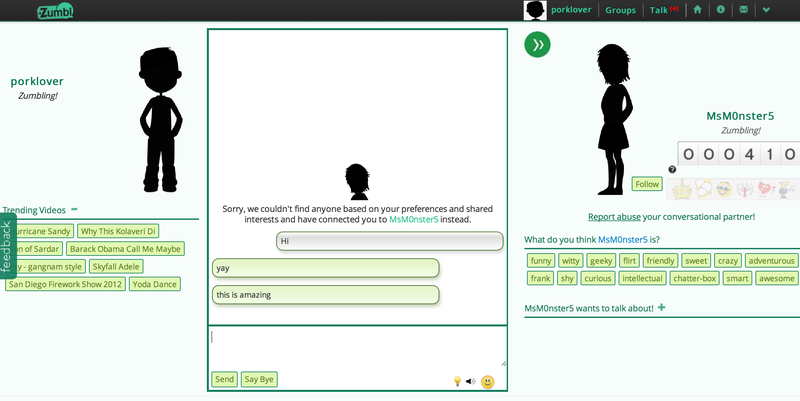 Remember Chatroulette? That was a good time. Anyway, two IIT Delhi computer science students, Abhishek Gupta and Saurabh Kumar have created a chat system that allows you to find random people based on your interests. Unlike competitors like Omegle, Zumbl.com aims to match people with rooms containing folks who tend to like the same things, be they knitting, self abuse, or sci-fi. Obviously the site is a little quiet right now – the pair have seen about 3,000 users in the past few days – but they’re pretty bullish on the idea: they dropped out of college to enter the Digital Media Zone, Toronto incubator in 2012. “We are going a step further from Facebook Graph Search where we not only give people the ability to search for other people of their choice but also, a way to contact them,” said Gupta. The service focuses on avatars that grow as you use the service. 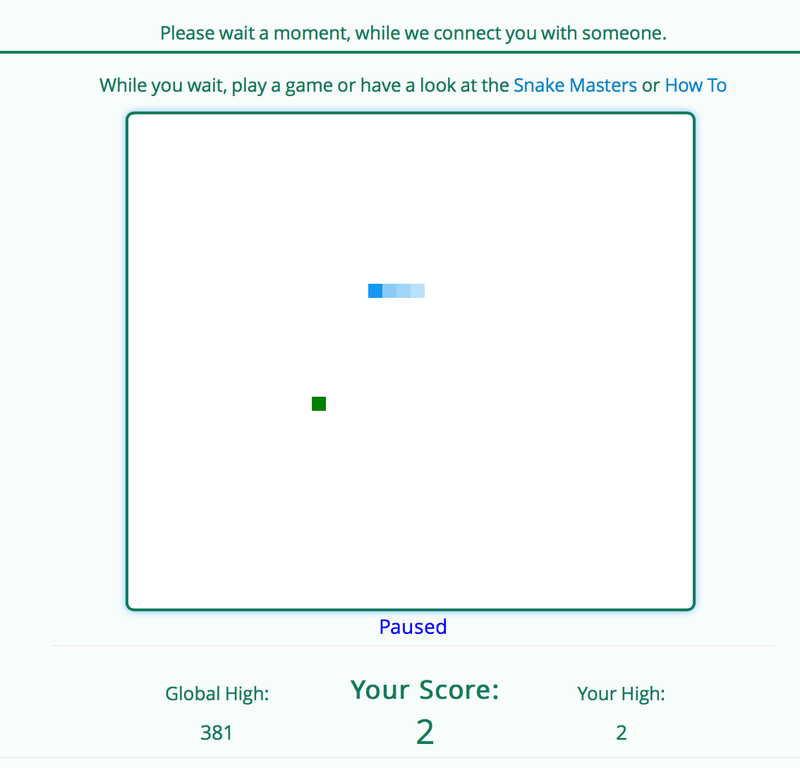 One clever hack they’ve added is a Snake-like game that you play while waiting for people to chat with. It’s a nice time-waster before you waste a little time chatting. The team has raised $20,000 from the CEO of Snapdeal, Kunal Bahl, to help support the 8 member student team and they accepted $20,000 in 2012 from the Digital Media Zone. They are seeing 450,000 messages per day in 15,000 chats, a good number for a site still in alpha. Thus far folks have been pretty nice on the site. Because you can up or downvote users and add tags to folks who are less than savory, the team has found that the tone of the chats has been solidly nice. “Zumbl has been able to maintain the culture,” said Gupta. He hopes it stands up to the onslaught of users as the site scales up.